+ 26" x 7.25" x 13.75" WB. 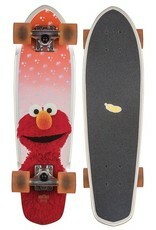 The Blazer Elmo skateboard is a mini wooden diamond-tail cruiser with soft conical wheels. 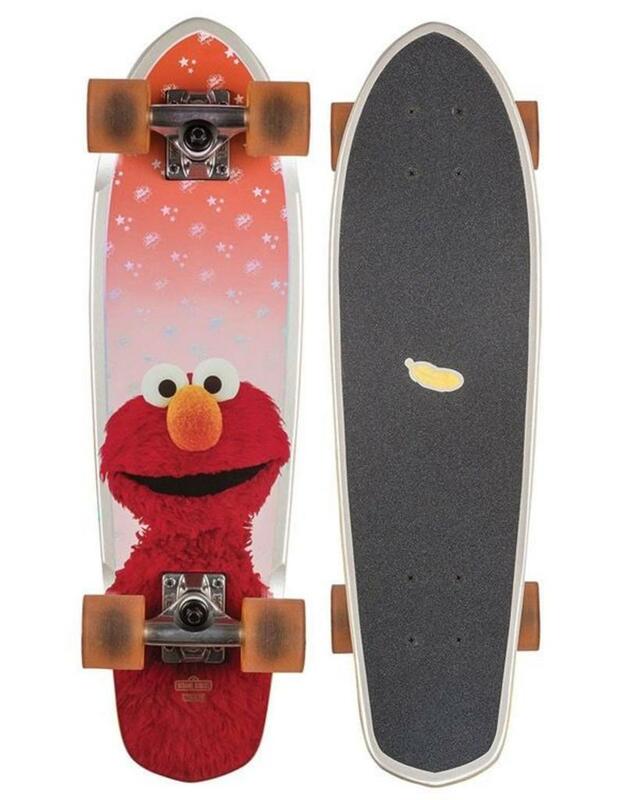 Featuring resin-7 hard rock maple, mellow concave with kick tail, holographic prism foil, transparent and pearlescent ink, original character image from the Sesame Street archive, 4.25" Tensor alloy trucks, 59mm 78a wheels and die-cut black broadcast grip. Globe proudly supports The Sesame Street Yellow Feather Fund, which provides early education to millions of kids in need through projects like the WASH UP! Global Heath Initiative and Autism: See Amazing in All Children. If you’re feeling inspired, go to YellowFeatherFund.org to learn more or make a donation.